When I found out that I definitely wanted a divorce, I was scared beyond words. All that I could think about was that I could lose everything and most of all, my two children. But after my first meeting with Kirby, I knew she was the attorney for me. Right away she went to work and never let up until I was granted 50/50 timeshare with my kids AND got the court order for NO alimony or child support. Kirby and her dedicated paralegal for over 25 years, Teri Greenwood, understand that when families are broken apart and traumatized, it takes a personal approach to work to reduce that trauma while guiding clients through the maze of legal processes they face. Kirby's diverse experience, understanding, and unyielding dedication enable her to help families find solutions to the hardest problems while Teri's thoughtfulness and professionalism provide the kind of support every client requires during this difficult time. Their offices are a unique blend of courtroom experience, knowledge, skills and temperament and clients hire Kirby because they want a trained listener who is staunch, uncompromising and effective. 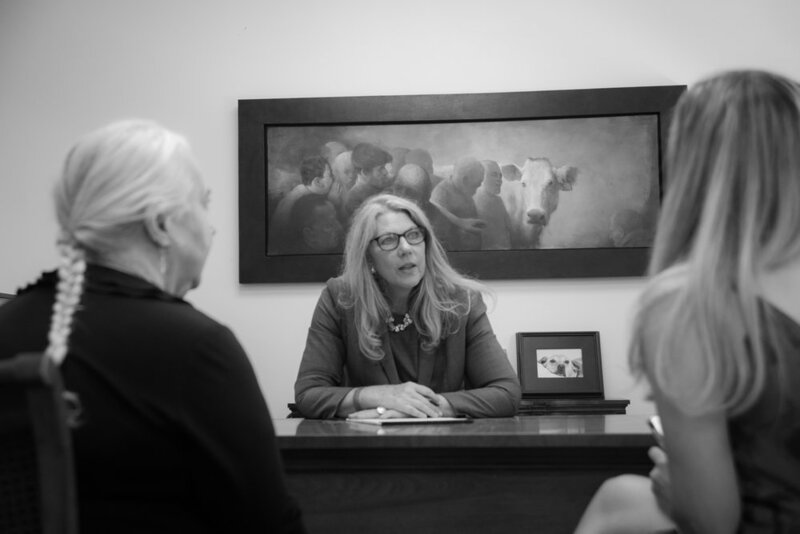 They want counsel who takes the time to listen and fight vigorously for the right result, somebody with years of experience analyzing fact situations, working and fighting to resolve cases with their clients' best interests in mind. With a emphasis on clear communication and accessibility, Kirby Burnside Family Law's personalized service extends far beyond what clients expect. Family Law requires dedication, passion and compassion for the client. Going through the breakup of a marriage, becoming involved in a custody dispute over children, dealing with the issue of separating assets and setting up payments of child and spousal support as either the recipient or payor spouse can be one of the most stressful events in a person's lifetime. The emotions experienced by both parties in a dissolution of their marriage is commonly compared to the experience of losing a loved one to death where the individual experiences what is known as the five stages of grief. 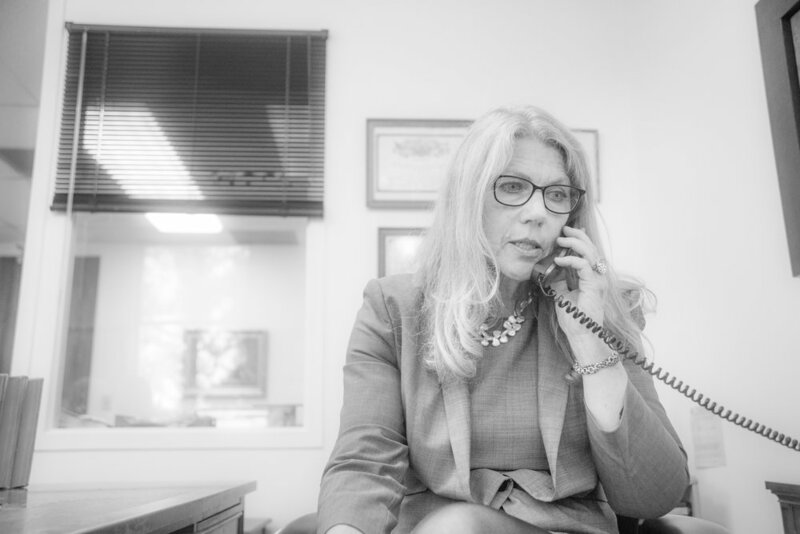 Kirby knows that it is important to the resolution of her cases, either by agreement or trial, to understand where her client is in this process. She then works diligently in each case with a passionate resolve to help clients make informed decisions. She thoroughly and thoughtfully evaluates and explains the issues inherent to each case, developing strategies that are specifically crafted to meet her client's needs. She has broad knowledge and experience advising clients on the variety of complex matters which families may face as well as the polished trial skills required to achieve favorable pre- and post-trial outcomes. Kirby has served the courts for over 20 years as a well-respected settlement Judge, helping other attorneys settle their cases. She believes that an experienced family law litigator has a superior ability to settle cases and given her courtroom experience, she can weigh what the outcome of a case will be based on its facts, the law, and expert opinions where required. However, when settlement is not an option in a case, Kirby draws on her litigation experience in contested hearings and trials to win the case; such matters in custody have dealt with a wide variety of complicated and emotionally tangled disputes, including addiction and alcohol dependency, familial disputes, abuse, and aberrant sexual behavior. Such matters in property have concerned valuation and sale of companies and property, complex stock transactions, tracing funds and income not disclosed by a spouse, and breaches by one spouse of their fiduciary duty to the other spouse.